"Jandy Nelson is a rare, explosive talent, and one of the best writers working today. Her prose is vivid, breathtaking, and drenched in passion, and her stories remind me why words can change the world." —Tahereh Mafi, New York Times bestselling author of the Shatter Me series. Jandy Nelson, like her characters in I’ll Give you the Sun, comes from a superstitious lot. She was tutored from a young age in the art of the four-leaf clover hunt; she knocks wood, throws salt, and carries charms in her pockets. Her debut novel, The Sky Is Everywhere, was on multiple Best Books of the Year lists, was a YALSA Best Fiction for Young Adults pick, earned numerous starred reviews, has been translated widely, and continues to enjoy great international success. 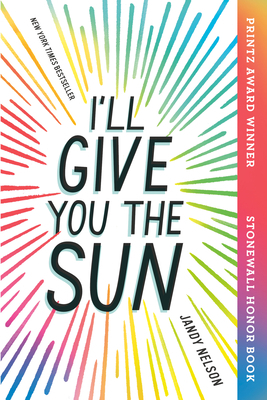 Currently a full-time writer, Jandy lives and writes in San Francisco, California—not far from the settings of The Sky Is Everywhere and I’ll Give You the Sun. "This is the big one—the blazing story of once inseparable twins whose lives are torn apart by tragedy. "—Entertainment Weekly, "5 YA Novels to Watch Out For"